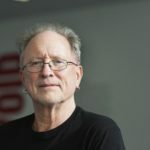 Bill Ayers is an American elementary education theorist and a leader in the counterculture movement who opposed US involvement in the Vietnam War. He is known for his 1960’s radical activism and his current work in education reform, curriculum and instruction. In 1969, he co-founded the Weather Underground, a terrorist group which was self-described as a “communist revolutionary group with the intent to overthrow imperialism”, that conducted a campaign of bombing public buildings (including police stations, the US Capitol Building, and the Pentagon) during the 1960’s and 1970’s in response to US involvement in the Vietnam War. "It’s amazing where the paranoid mind can take you." "Kill all the rich people. Break up their cars and apartments. Bring the revolution home, kill your parents, that’s where it’s really at."